and full width router support for your Dovetail Jig. Fits the following jigs: D4R Pro, D4R, D4, D3, D1258/R, D1600 and all Super Jigs. No jig modifications required. I won't use any Leigh Jig without the VRS! A Clean Workspace at Last! If a clean work environment is what you’re after, the VRS is for you. Here’s how it works. The router is positioned between the control arms attached to the vacuum chute below. The arms are adjustable to suit any size router base. The vacuum chute glides effortlessly from side to side on nylon rollers and automatically follows the router when routing the joint or when the router is parked off to the side. The VRS beam mounts quickly and easily — No jig modification required. Simply replace the finger assembly support brackets and attach the VRS steel support brackets, and you’re done. 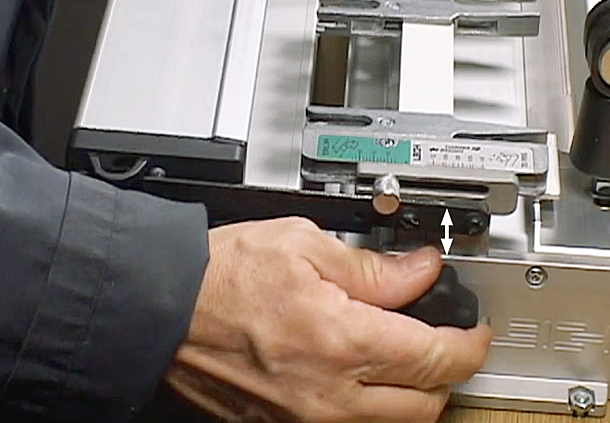 After installation, the VRS can be attached or removed in seconds. Powerful rare earth magnets secure it in place. Each VRS comes complete with two adaptors to fit all popular vacuum hose sizes from 1” to 2 ½”. The VRS can be used with a small shop vac or large built in system. Vacuum box glides effortlessly under router support beam. The compact dust chute and hose are out of the way when routing. 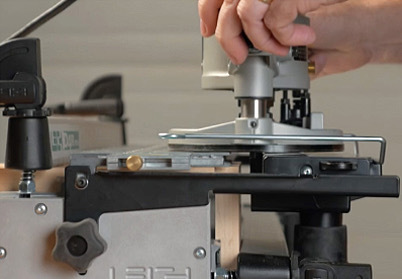 The sturdy router support ensures the router base remains perfectly flat while routing. The entire assembly moves up and down with the finger assembly support brackets, to accommodate any wood thickness. When you’re finished routing, simply slide the router away from the joint and park it. Light in weight — just over 2 lbs (1 kg). It can be hung on a nearby hook when changing the finger orientation. The VRS comes with a four-page user guide and online video. Leigh also offers excellent customer service, with instant toll-free technical support and a help line.